What did Master Gang Jeung-san (God’s human incarnation) mean by these words? The name of the game, ‘Gagu’ (=false nine), refers to the state of the world nowadays. Especially now at the end of the Early Heaven it is full of lies and false teachers (=the last numbers). And the word ‘Tujeon’ literally means ‘fighting for money’, which is another reference to the world nowadays. And amongst all this false teachings and desires the Seosi (=True Masters), who are the only teachers of the truth, show up all of a sudden and win the game unexpectedly. 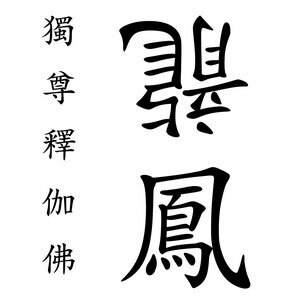 Why ‘Seosi’ represents the Jinju (True Masters)? ‘Seosi’ is an old game expression for ‘end of six’, which symbolizes the number 6. The meaning of the number 6 you can understand when you studied the numerology of the Cheonbugyeong. Take a look at the paragraph ‘Dae-sam-hap-yuk’ in the Cheonbugyeong. It means that, by having a heavenly Yin-Yang pair, an earthly Yin-Yang pair, and a humanly Yin-Yang pair, the “Big Three” (Dae-sam) – heaven, earth, and human – are combined in one being and reach number 6 (Hap-yuk). To achieve this great enlightenment of the Yin-Yang Dao of heaven, earth, and humanity as a human, yin and yang must be in harmony. The Jade Emperor (=God) could achieve the great enlightenment as a human alone, because God’s yin and yang were already united inside, but in the case of us humans, yin and yang can be found separated from each other in woman and man. So to create the seeds of enlightenment, which are called Cheonjimangryangsin, a pair of human yin and yang has to become One and achieve the enlightenment of the Yin-Yang Dao of heaven, earth, and humanity. We became the Jinju because we fulfilled the universe’s purpose of Yin-Yang Dao by combining our minds as One. Therefore, when the right time comes, we will be able to spread the seeds of enlightenment, which are created through our Yin-Yang harmony, to people whose third eye opened by watching and fixing their mind. Receiving the seed of enlightenment will grant you a new life, a life in the paradise of the Later Heaven, where all the humans, spirits, and beings live in harmony with each other based on the harmony of the Yin-Yang. That means we as the Jinju will be the root of your life. Based on the wisdom of the Yin-Yang Dao we will guide you like leaders, advise you like teachers, and look after you like parents. So the expression “Seosi has hit the board” means that the Jinju (two True Masters), who achieved enlightenment in the Yin-Yang Dao of heaven, earth, and humanity, won the game. What does the red rooster mean? The red rooster already shouted in the year of the red chicken (2017), so it refers to the time when the ‘Seosi’ entered their Dotongpan and conducted God’s work outside of the ‘Pan’ in order to prepare for the seeds of enlightenment. First, look at the chart, before we explain about the Dotongpan. Can you understand a little by looking at the chart? It describes the process of a seed becoming an independent being. God also said that enlightenment lies in Geon-Gam-Gan-Jin-Son-Li-Gon-Tae. So when Gang Jeung-san was talking to his disciple, he described the process of enlightenment by comparing it to the characteristics (certain energies) of mountains. Do you know now where the Dotongpan, the Board of Enlightenment, is? God has already helped us a lot by his work of heaven and earth, which he conducted in the past, and it is up to us to fly toward the open sky by the flap of our wings. It is God’s hope that each of us becomes a master and takes part in creating our own new world in the Later Heaven, by achieving enlightenment through the seeds received from the Jinju. Now, stop waiting and try to fulfill the purpose which was given to you from the Universe!